Two guides met us and kindly showed us to the coaches at the airport. They travelled into the city with us and gave an informative commentary about the history of Kuala Lumpur. Our guide pointed out the views of the rainforests and rubber tree forests on either side of the main road. Tin mines and rubber tapping had played important parts in Kuala Lumpur’s formation and economy. 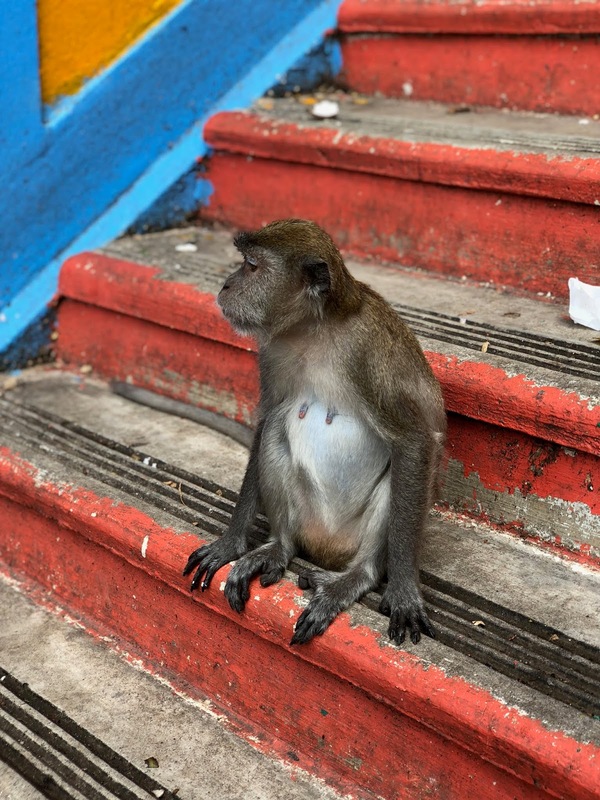 In a nutshell: Kuala Lumpur had been under Chinese and British influences in the 19th and early 20th centuries, Japan had occupied Kuala Lumpur for three years and eight months during the Second World War and the British Military Administration returned in April 1946 until Malaysia’s independence in 1957. Modern Chinese influences were evident through the tetraphobic labelling of elevator floors. 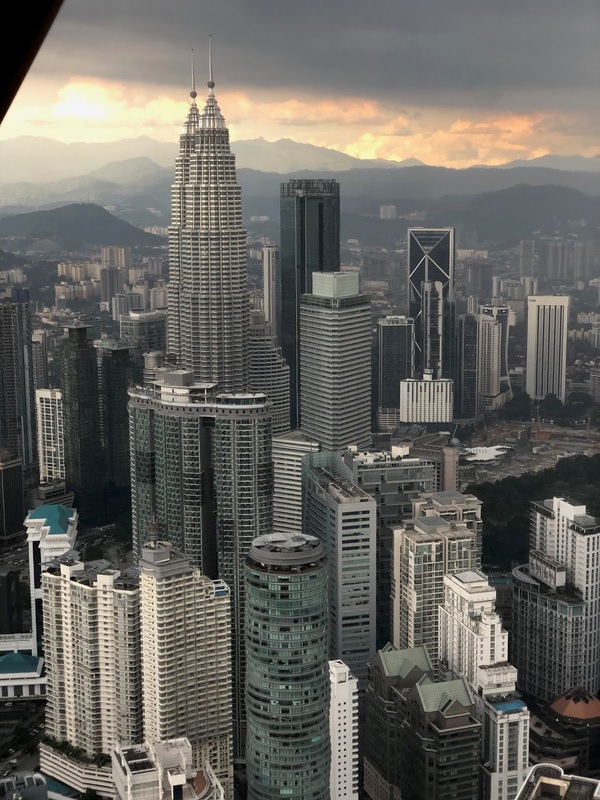 Many buildings in Kuala Lumpur (typically those built or owned by the Chinese) skipped the fourth, fourteenth and twenty-fourth floors in the lift control panel - any floor number ending with a four had been superstitiously omitted. I loved finding out about interesting quirks and minutiae of each place we visited. Dinner on the first evening was excellent; the first of many memorable meals in Kuala Lumpur. We found a great barbecued meat curry place near the hotel and enjoyed eating curry in a similar style to what we would find at home. I had really wanted to find a Malaysian beef rendang that night, but this curry had certainly sufficed. Curry was available at breakfast the next morning too! We had arrived in Kuala Lumpur on Thursday 8th November and Deepavali (Diwali), the Hindu festival of lights had just taken place. Many entrance halls had artistic designs made from coloured powders or sand temporarily laid on the floor; an art form called rangoli. The floor of the hotel lobby was decorated with a rangoli design of a peacock. 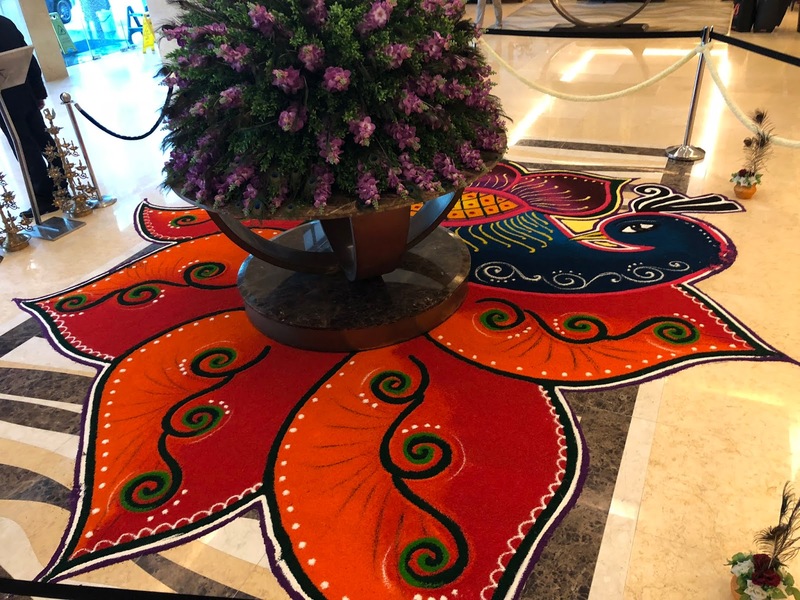 We had four entirely free days in Kuala Lumpur; we would stay long enough to see the rangoli’s eventual demise in the hotel’s vacuum cleaner. It was only when it had gone that I realised that it wasn’t always here. 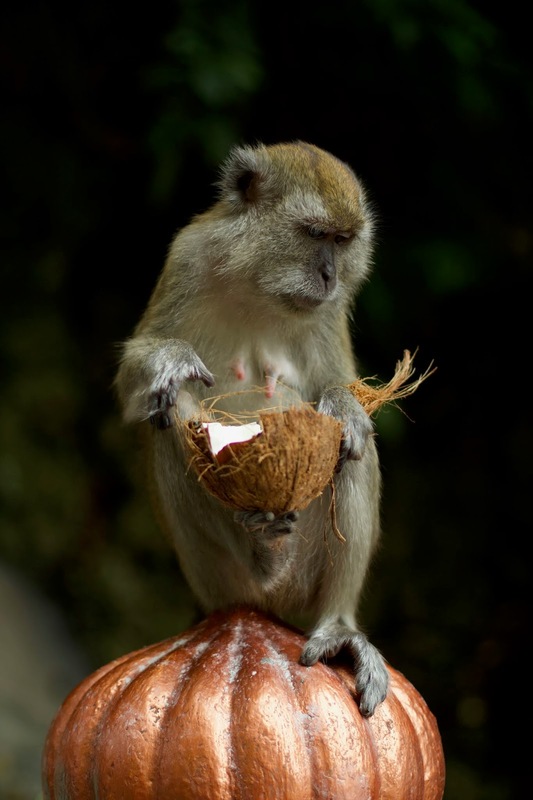 Everyone I had spoken to about visiting Kuala Lumpur suggested that we should visit the Batu Caves, about half an hour’s drive north of the city. Four of us took a Grab taxi there on Friday 9th November 2018. It cost RM19 (Malaysian Ringgit, MYR) - approximately £3.60 GBP, or £0.90 GBP each - to travel the 13.2 kilometres from the hotel. 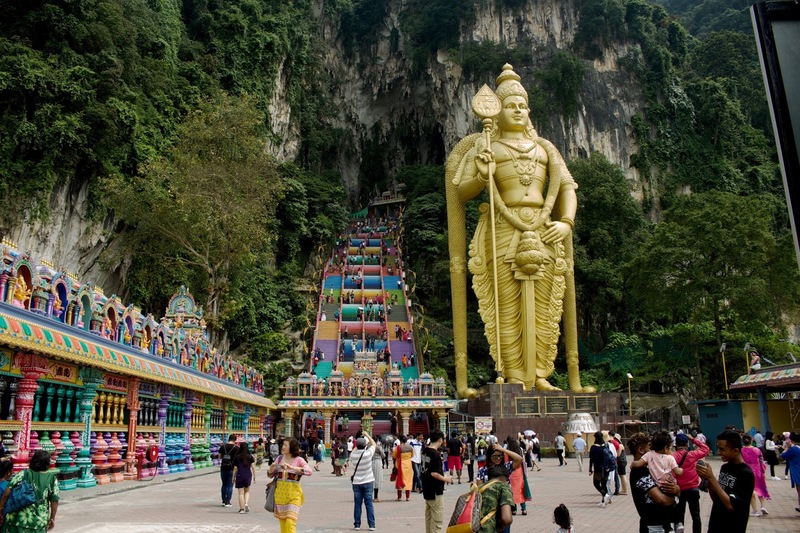 We arrived at the Batu Caves to a view of the world’s tallest statue of the Hindu deity Murugan (42.7 metres) covered in 300 litres of gold paint. Alongside the statue an impressive staircase climbs about 100 metres, with 272 concrete steps set into the limestone hill. The taxi driver told us that the steps had, controversially, been painted in this extraordinary colour scheme in August 2018. We ascended, carefully avoiding the territorial (and potentially rabid) long-tailed macaques, until we reached the cave entrance. The entrance revealed an enormous cave with Gaudí-esque limestone formations all around a colourful inner temple. People were deep in worship; incense burned, and reed instruments, bells and drums sounded. Steps further in the distance revealed another cavernous chamber; light flooded in from an tree-lined opening high above another shrine. After a time to take it all in, we turned around and walked towards the cave entrance. 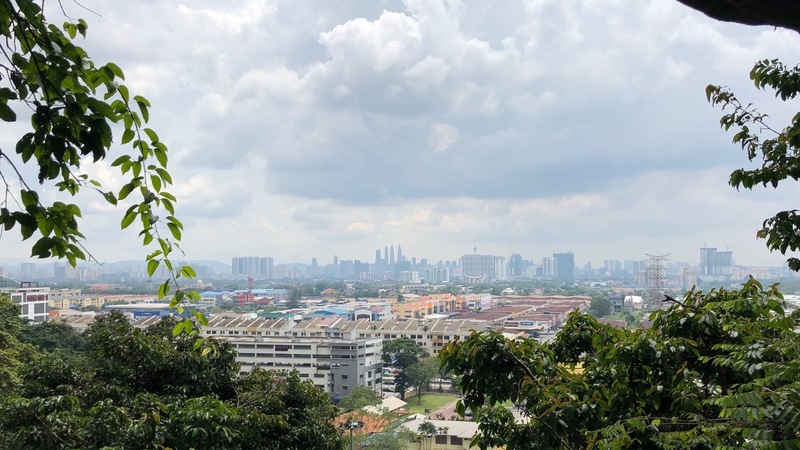 Kuala Lumpur’s distinctive skyline was visible in the distance, with the most recognisable Petronas Twin Towers - where we would be playing our concert - at the centre of the view. Before descending, we decided to visit the so-called dark caves. Access was regulated; we proceeded in small groups with torches and helmets, led by a guide named Bea from the Malaysian Nature Society. The system boasts two kilometres of relatively untouched caves, with some unique species that can only be found here. Bea explained that the smell was of guano (bat excrement) used as a fertiliser; we soon got used to it. The cave was occupied by many fruit bats and Eonycteris (a genus of megabats). Bea pointed out interesting rock formations, insects and spiders. At one point, Bea instructed us to switch our torches off and we experienced 100% darkness. Even after waiting for a few minutes to adjust to night vision there was no difference between having your eyelids open or closed. We emerged out of the dark cave to a substantial thunderstorm. We bumped into some drenched colleagues from the orchestra who had just arrived. We waited for the rain to subside and it did, a little. We proceeded with caution because the steps had become a waterfall, a torrential river flowed down the channel. When we got to the bottom we had to find WiFi to book a Grab cab, which proved to be a bit of a kerfuffle. Eventually we got one and started our trip back to the hotel. Despite the enormous storm drains, the roads were overwhelmed with surface water. Windscreen wipers proved no match for the amount of falling rain. Large objects like bins were dragged around by the surrounding water and other objects became buoyant and floated away of their own accord. After a few hours to dry off we traversed the skyway that was connected to the hotel, a few floors up. These overhead pedestrian walkways connected the sprawling mall at the KLCC (Kuala Lumpur Convention Centre) - the area around the Petronas Towers - to the Pavilion mall (another enormous shopping centre), conveniently via our hotel. Having seen the rain earlier I knew why these covered walkways were desirable. 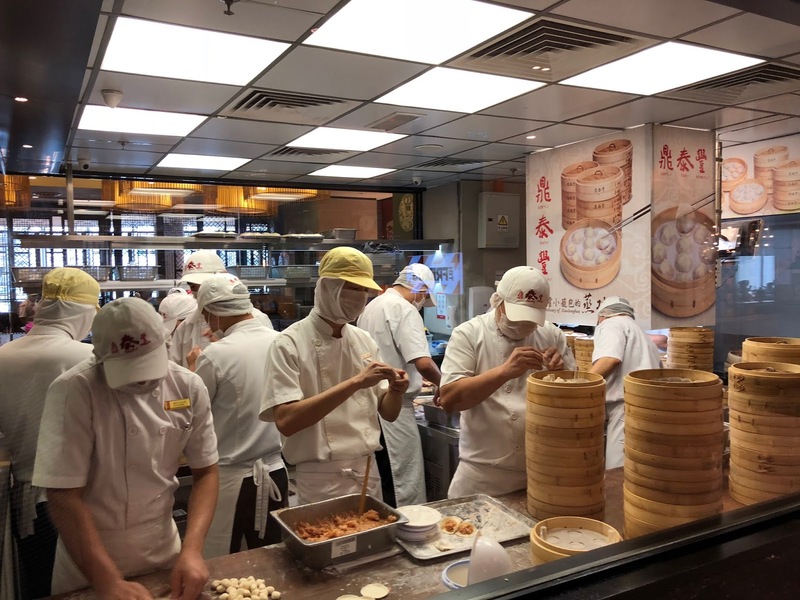 We visited Din Tai Fung, a famous chain of Taiwanese restaurants hailed as one of the top ten restaurants in the world by the New York Times. They have just opened a new restaurant in London’s Covent Garden. We ate Xiao Long Bao (steamed dumplings) and enjoyed the simplicity of the ordering system. I think we all went back there on separate occasions during our stay in Kuala Lumpur. After the meal a group of eight or nine of us went to a karaoke booth in the mall, and we sang enthusiastically in this soundproof room. Thanks to Postmodern Jukebox’s jazzy covers of old pop songs, I was better than I thought I would be. Somewhere out there in the digital ether there is a video of me singing ‘Girls Just Wanna Have Fun’ (in falsetto, at pitch) as nobody else knew the words which didn’t come up on the screen for some reason. I began Saturday 10th of November with a lazy morning at the pool and I finally summoned the energy to go out by about 16:00. I went with Will and George (violinist). We decided to walk to the Kuala Lumpur Tower (KL Tower) built on the Bukit Nanas (Pineapple Hill) reserve. The structure of 421 metres (including the antenna) was completed in 1996. We bought tickets to go to the indoor observation deck, around 335 metres above the ground. While we were up there, another serious rain storm closed in, with colossal claps of thunder. We could see the storm approaching when we first arrived and we stayed up there long enough to see it arrive and depart. I took an atmospheric photograph of the Petronas Twin Towers surrounded with moody clouds. It seemed that storms happened at around this time of day every day we were there - you could almost set your watch by them. I had a relatively late breakfast on the morning of Sunday 11th November 2018. I arrived at about 09:30 and returned to my room at about 10:00. I realised that it was Remembrance Sunday in the UK. Being both Remembrance Day and Remembrance Sunday on the same day, it was exactly one hundred years since the armistice of the First World War. It felt important to me to acknowledge it. I considered playing the Last Post in the hotel’s reception but I knew that quite a few people had already gone out for the day. Most people who were in the hotel were in their rooms and not in the lobby anyway. I decided to send a recording of me playing the Last Post and Reveille to the tour’s WhatsApp group. I recorded the Last Post in my room at 10:55, playing it on the natural trumpet as that was the only trumpet I had with me. I then recorded the Reveille as a separate track. I sent the Last Post to the group thread at 10:59. I sent the second sound file at exactly 11:02. If people listened to the sound clips as soon as they arrived it would have worked at exactly at the correct times (in the local timezone). I wasn’t expecting there to be any response, but I was overwhelmed with many messages of thanks and some requests to send it on to friends and relatives etc. One person told me that it made them cry and some others hadn’t realised the significance of the date today. I got a message from the Orchestra of the Age of Enlightenment’s CEO - I hadn’t realised he was on the group thread, as he was back in London. He called me a mensch and said that it was a “really wonderful thing to do”. I remember the London sky being lit up with a huge searchlight from 28th July 2014 onwards to mark the centenary since the beginning of the First World War. I thought about the huge amount of time that has elapsed since then; I’ve lived in three different houses and got married in that time. Life would have been so different if I had been born one hundred years earlier. I visited the art deco central market on Sunday afternoon and we had another downpour at 17:00, right on cue. I woke feeling a bit vacant on Monday 12th November. I had breakfast with Ruth (viola) and Will (second trumpet) and after a short time, Ruth asked me what was up. I didn’t think anything was up, so I assured her that I was fine. She didn’t seem convinced by my answer. I don’t think I was being grump, though I was perhaps not as full of energy as normal. Before I had chance to realise it myself, Will said to Ruth “oh, don’t worry - he’s just got early-onset post-tour blues”. Will and I have spent so much time together over the years, particularly on tour, that he knows me very well. I think he hit the nail on the head with his conclusion, though it was perhaps only half the story. It was true that I was having such a good time on this tour that I didn’t want it to come to an end. I was also beginning to miss making music; having almost five completely free days since we last played as an orchestra was both luxurious and a bit overwhelming. I was really ready for the concert the next day. I was also feeling the effects of cabin fever after spending too much time in taxis, the hotel, the malls and on the sky walkways inbetween. A busy day of exploring soon put those feelings to bed. I didn’t need to worry about the tour ending just yet (Vietnam was next); we had a concert the next day and we had a day of interesting sightseeing ahead. Monday’s sightseeing began with a walk to the KLCC and we took a train to the Islamic Art Museum’s closest station. I enjoyed looking around this museum. 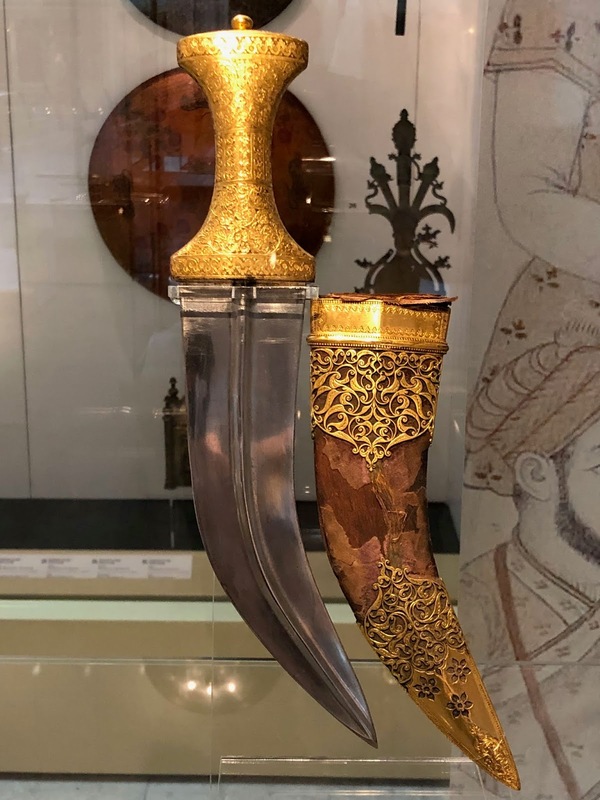 There were many engraved objects to look at, and I loved the intricate geometric patterns and craftsmanship involved in so many of the antique pieces. Indeed many of the items were more than antique, they were truly ancient. From there we walked past the Kuala Lumpur Railway Station, built in 1910, and observed its Eastern and Western architectural influences. I wanted to explore the Brickfields area next. 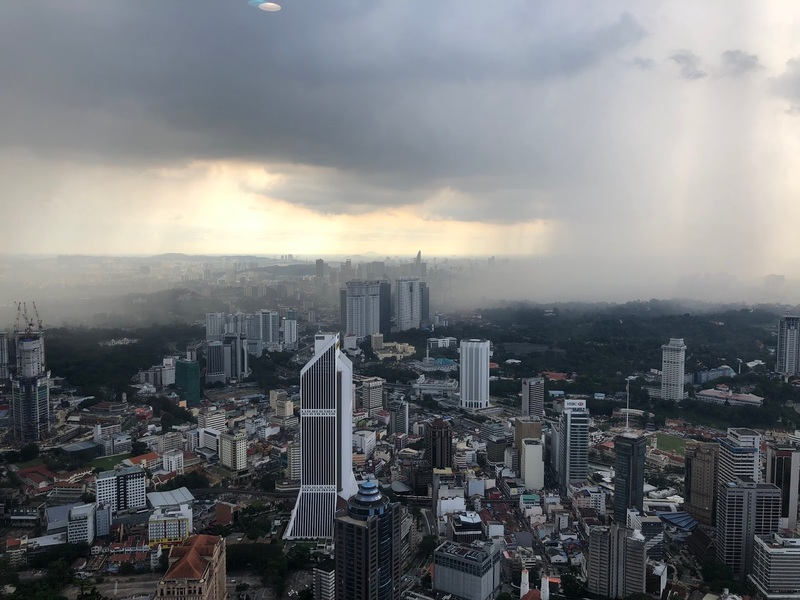 A friend of mine (Bruce) who lives in KL had visited this area a few days ago. He posted a photograph of an amazing curry on Facebook and I hoped to find something similar. The Brickfields area is also known as Little India and there were a number of places selling dosas and serving food on banana leaves. I wanted to explore the area a little first and then find somewhere for lunch but I was conscious that I was leading eight increasingly hot and hungry people. It was past 14:15 so, in the interest of being decisive, I stopped outside an open-fronted cafe, Kafe Scottmatrix. It looked like a place where locals would eat - the real deal. I felt a sort of consensus that people might have been happy to have lunch there. I thought I had better ask and check whether they thought it looked okay. At this point, five out of the eight people decided to go back to the hotel. I was actively trying to avoid the hotel to recover from my cabin fever, so I elected to stay. The other two who had expressed an interest in eating there (Laura and birthday boy George) stayed with me. Through the a combination of guessing, mime and pointing, we ordered three fried rice dishes and a can of Sprite each. The rice dishes arrived they were very tasty but we wanted to add something to them. We looked around at what other people were eating and fancied some of the daals and sauces that we could see people enjoying from clay pots. We also ordered some fried mushrooms. When the mushrooms arrived they were coated in dark red chilli-powder and they were delicious. The curry was also very tasty and authentic. This fantastic meal fed the three of us very comfortably. For six or seven plates and three cans of Sprite, they charged only about 24RM (around £4.50 GBP). “Don’t worry guys, I’ll get this!”, I said. I joked that they could return the favour in London where the equivalent amount of food would cost around ten times as much! 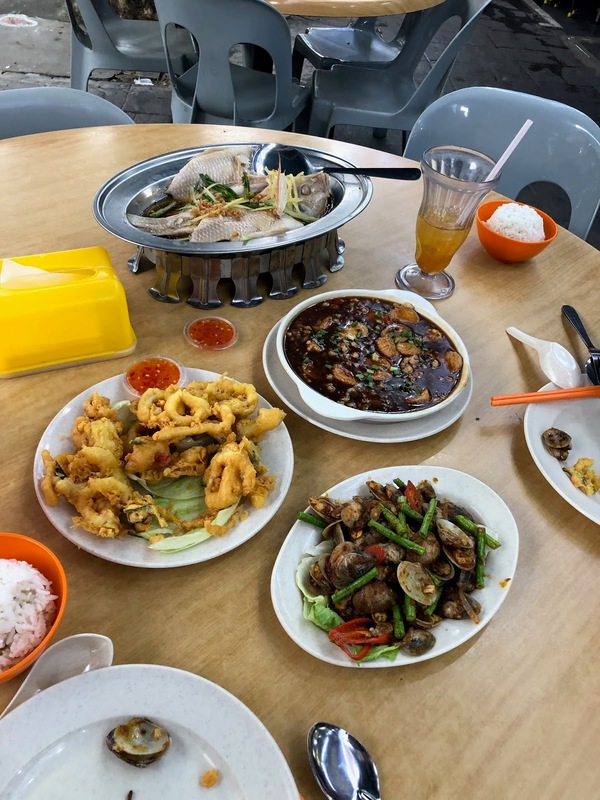 Although we didn’t know it at the time, we weren’t quite in the heart of the Brickfields/Little India area but I had no regrets with the quality or cost of the food that we ate. If I get the chance to go back to Kuala Lumpur I’d like to explore this area more. Rain time was approaching, so we walked to the nearest railway station as dark clouds gathered. The station was actually a monorail station and we waited for at least 45 minutes for a monorail to arrive. In the meantime the platform had filled up with children dressed in immaculate school uniform. The two-car monorail arrived; it was already very busy and you could see elbows and backs pressed up against the windows. Only a few people alighted at this station, Tun Sambanthan. Somehow everybody on the platform managed to squeeze into the monorail and we had an uncomfortable, tightly-packed journey without any air conditioning and with a lot of condensation on the windows. After a while the situation on the northbound monorail service to Titiwangsa seemed quite comical. Fortunately we were only travelling on this service for two stops. We changed at Hang Tuah station onto the gloriously air conditioned 3 & 4 lines, changing again at Masjid Jamek to travel north on the 5 train to KLCC. When we had first arrived, some people found problems with the cleanliness of the hotel. My room was acceptable but some were not. I’m not sure whether the problems were ever properly rectified. The very caring tour management group who traveled with us organised a party to apologise for the experience that some people had had in the hotel. This was so kind of them to arrange, and we enjoyed pizzas in an upstairs function room at the Tujo Brasserie & Grill, a few doors down from the hotel. The function room housed us all comfortably and we enjoyed excellent pizzas before the karaoke machine was utilised. We were all initially quite reluctant to sing to each other, but Hayley (second bassoon) energetically encouraged us all to participate. It was such a funny evening! Before I knew what was happening I was the Phantom of the Opera to (soprano soloist) Charlotte Beament’s Christine. People were surprised that I knew the inner part… what can I say? I’ve known it for most of my life. Hayley, who had been so instrumental in initiating the singing was noticeably flagging after trying to get the karaoke going. It later transpired that this was the beginning of something more serious than just karaoke fatigue - she had dengue fever. On the subject of singing, it was great to meet up with an old friend on the morning of Tuesday 13th November 2018. I met the aforementioned Bruce, who was a fellow tenor when we were in the Hallé Choir together in Manchester. I met Bruce at the hotel and we walked to a street called Jalan Alor. We chose a restaurant at No.47 called the Xin Ji Kitchen, and we ordered and ate a wide selection of delicious seafood and had a long-overdue catch-up there. 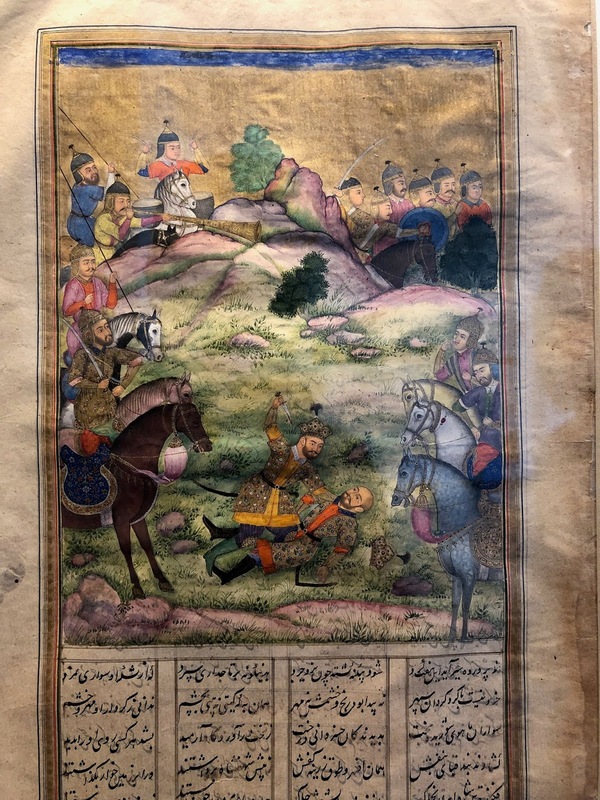 Tuesday 13th November 2018 was the concert day. We rehearsed and performed at the Dewan Filharmonik Petronas (Petronas Philharmonic Hall) at the foot of the famous Petronas Twin Towers. 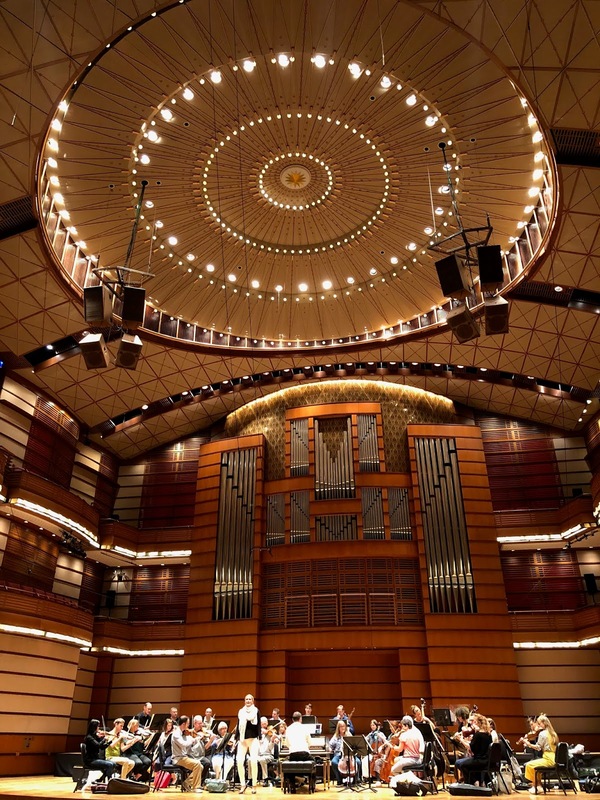 The 920-seat concert hall opened in 1998 and was Malaysia’s first purpose-built concert hall for classical music. It is home of the Malaysian Philharmonic Orchestra and I was delighted to play here with the Orchestra of the Age of Enlightenment. It was the only concert on the tour where we had access to a real harpsichord, and Steven Devine was noticeably delighted by it and its subtlety of touch. The concert the Dewan Filharmonik Petronas was one of the most memorable of the tour. It was great to play without an artificial reverb (which had to be added with microphones and amplification in some venues) and the natural acoustic could be changed in this state of the art concert hall. The concert featured the standard version of our programme and there were no anthems, local musicians or local pieces to be performed in this concert. The Orchestra of the Age of Enlightenment sounded amazing in this hall and everybody really seemed to enjoy playing here. 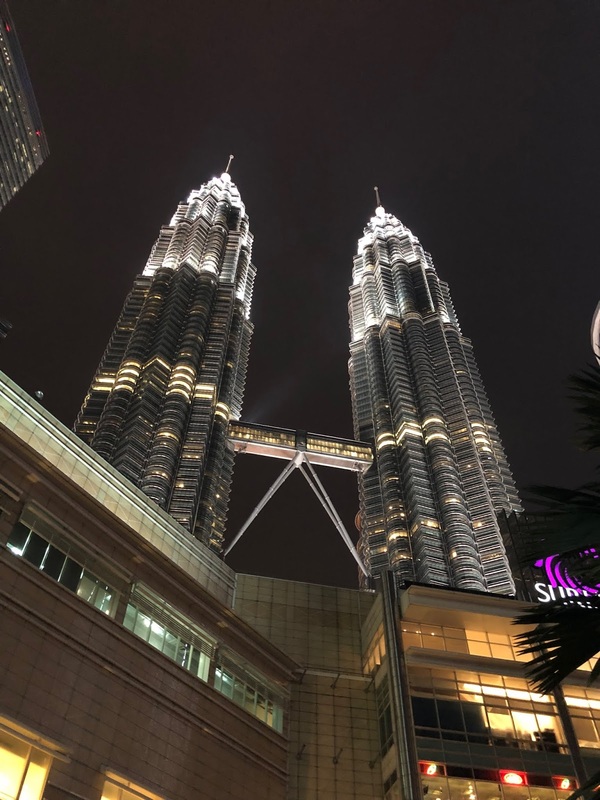 After the concert I went outside and looked back toward the attractively-lit Petronas Twin Towers. There was a water and light show taking place in the fountain on this side of the twin towers. 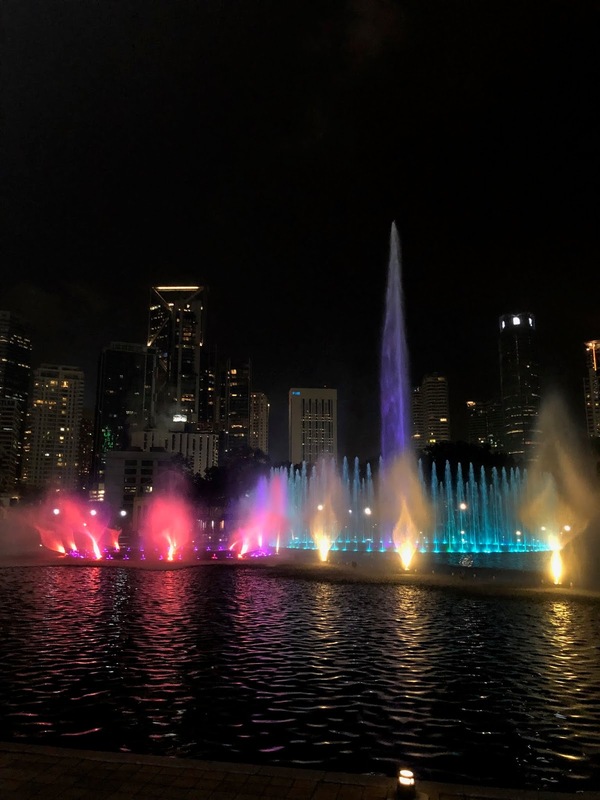 Colourfully illuminated water would jet into the air and fall in time to music. Rotating nozzles directed water in helixes and synchronised streams of pressurised water fell in mesmerising patterns. It was a very impressive venue. 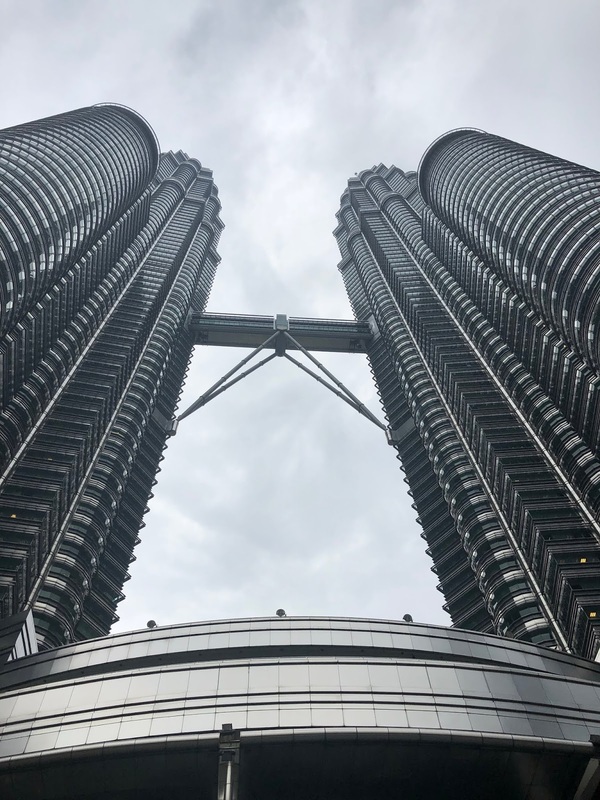 On 14th November we left Kuala Lumpur - retracing our journey to Kuala Lumpur International Airport, southbound on the motorway alongside the rainforest and rubber trees. Vietnam was next.